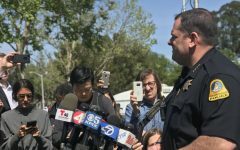 On April 6, a press release was given about a murder investigation near Skyline College in which the Skyline community was not informed due to not fitting the Clery Act. The incident began when San Bruno Police Department detectives investigated a missing person case at 3781 Pacific Heights Blvd. on April 6 at 10:51 a.m. They found dismembered human remains scattered throughout the inside of the house and backyard. David Stubblefield, a fifty-year-old San Bruno resident, was arrested as a suspect for homicide. According to the Daily Journal article by Samantha Weigel, the victim was identified as 77-year-old Benjamin Roybal. Roybal lived down the road from Stubblefield on Pacific Heights Boulevard. The homicide raised concern for some Skyline students since the crime took place in a home within a short walking distance behind the Pacific Heights building of the college. Dana Bartolome, a psychology major at Skyline and lives close to the murder suspect’s home, was horrified when she read about the news online. Skyline did not release an official public announcement regarding the nearby murder because Skyline faculty and students were not in any danger. 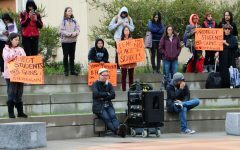 Clery Act timely warnings are triggered when there is an ongoing threat to the campus, according to Richard Rojo, the Interim Director of Marketing, Communications and Public Relations. 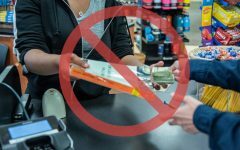 The Clery Act is a federal statute that requires all colleges and universities that receive federal funding to keep and disclose information on or near their respective campuses. Paul Elvina, a Skyline College student studying to be a radiology technician, thinks otherwise. Rojo noted that the school has procedures established in case a criminal incident poses a threat to people in campus. 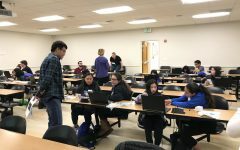 “Skyline College would definitely issue a timely warning through the AlertU system, emails, loudspeakers or other appropriate means,” Rojo said. Even if Skyline was deemed safe, students like Elvina and Bartolome were emotionally impacted since this is a rare occurrence in San Bruno. According to research done by City Data, San Bruno has had a relatively low crime rate for the past decade compared to surrounding cities in the Bay Area, such as Colma and San Francisco. Data procured by the Neighborhood Scout website shows that the violent crime rate in San Bruno is 2.45 per 1,000 residents, which is around half of California’s average at 4.26 per 1,000 residents. Neighborhood Scout also reveals that a person’s chance of becoming a victim to violent crime in San Bruno is a 1-in-407 chance, which is significantly lower than California’s average, which states that a person has a 1-in-235 chance. “I was shocked because murders are unusual in San Bruno,” Elvina said, who has lived in the Bay Area for 16 years. Bartolome shares the same sentiment but also mentioned that this homicide caused her to feel more insecure than ever.